What causes pain in the jaw joint? Generally, pain in the jaw implies the jaw joint has become inflamed. This can happen suddenly, in response to injury (for example, a blow to the jaw) or something as simple as biting down forcefully on hard or sticky foods. Lengthy dental appointments, especially those in which the treatment area is toward the back of the mouth, require patients to hold their mouth wide open for extended periods. 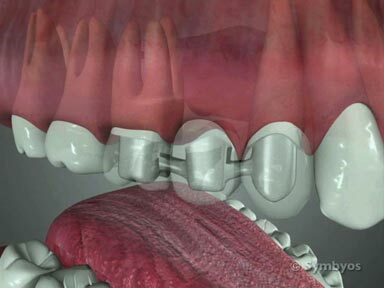 This can produce pain, as well as altering the way the teeth fit together (occlusion), which is generally temporary. Often sharp and severe jaw pain is treated with avoidance of hard and sticky foods, minimizing the jaw opening, appropriate anti-inflammatory medications, and if tooth grinding is suspected, possible use of muscle relaxing medication for a few days. If the condition won’t go away, you may have TMJ disorders. What causes pain along the jawline underneath my teeth? Pain along the jawline beneath the teeth is often an indicator of a tooth infection (abscess). 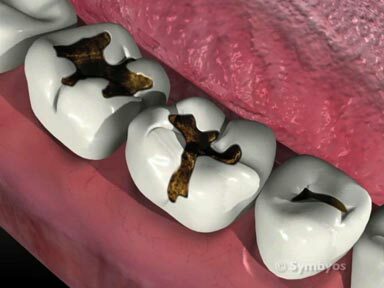 However, other conditions may cause it as well, including cysts and tumors which are expanding, recent dental work, clenching or tooth grinding habit, toothache (pulpitis), hypersensitive dentin, and inflamed or infected gums (gingivitis/periodontal disease). Sometimes heart pain (angina) can radiate into the jaws, producing symptoms of a toothache. Jaw muscle pain (myalgia), and facial pain (neuralgia) can radiate into the jaw itself. If the jaw joints are affected, a diagnosis of TMJ disorders should be ruled out. What causes jaws to pop and click? When jaw joints pop or click, the cushioning disk located between the upper and lower jaws may have developed an irregularity, or the ligaments that hold the disk in place may have become stressed, elongated, or otherwise altered. 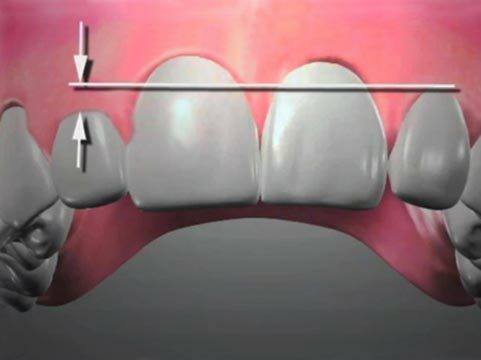 The result is, instead of tracking smoothly when the jaw is opening or closing, the path becomes irregular and clicks, snaps or pops. What causes a jaw to lock? When a jaw joint locks, the cushioning disk located between the upper and lower jaws may have developed an irregularity, or the ligaments that hold the disk in place may have become stressed, elongated, or otherwise altered. The result is, the disk gets in the way when the jaw is opening or closing. What are prognathic and retrognathic jaws? A prognathic jaw is one which is positioned further forward than normal. A retrognathic jaw is one which is positioned further back than normal.